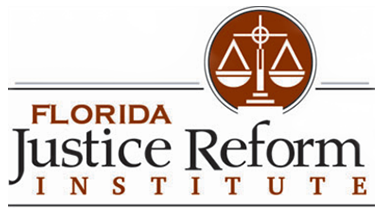 TALLAHASSEE -- The Florida Justice Reform Institute recently released a report in which it outlined what it sees as problems with assignment of benefits (AOBs). According to the organization's report, which Ashley Kalifeh and Mark Delegal authored, AOBs normally start when an insurance policyholder signs a contract that designates a third party to receive the rights, benefits, proceeds, and causes of action related to the policy. According to the report, the service provider who makes repairs or provides care for which the person looking for insurance is looking for coverage for is many times the third party. In the report, Kalifeh and Delegal explained that the service that the service provider agrees to provide is conditioned upon the assignment, and the service provider then uses that against the insurer. Kalifeh and Delegal explained that this setup allows the third party to act as the insurance policyholder. Kalifeh and Delegal explained that AOBs allow for multiple parties to hold policyholder's rights and gives those parties rights to sue the insurance companies. Kalifeh and Delegal say in the report that Florida courts have said that insurance policyholders can give out multiple AOBs from one insurance policy. Florida Justice Reform Institute President William Large told the Florida Record that it's important to understand what the one-way attorney's fee in Florida entails in order to understand AOBs. 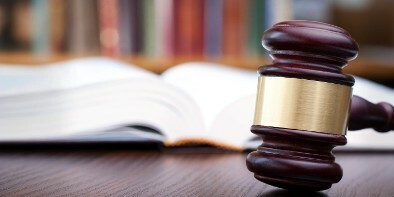 "In Florida, if you're an insured, and that is the person that pays the policy month after month, year after year, and you have a dispute with your insurance company, and if you take that dispute to court, and you win the amount in controversy, not only do you win the amount in controversy, you get your attorney's fee paid," Large said. "So that makes sense. So if I got into a fight with XYZ insurance company that they didn't repair my roof, they didn't remove the water from my kitchen, they didn't fix something, and I won the amount of $2,500, I get the $2,500. But the attorney's fees, which would probably be about $30,000, would also be paid." Large said that AOBs take the place of service providers getting paid for the service they provide. "Some unscrupulous vendors have figured out a business model," Large said. "And that business model is to approach insureds and say I don't want to get paid for this particular repair. Instead, assign your insurance policy to me. And when that assignment occurs, one thing that happens with the assignment is the one-way attorney's fee now inures to the vendor, not the insured." Large said that when this happens, the vendor becomes part of the dispute and this setup allows the vendor to benefit from the one-way attorney's fee. "Now, this model was basically concocted by a series of attorneys that realized that they don't need to be working with insureds, they should be working with vendors," Large said. "And so, now a typical case looks like this. The market price for a repair, insurance companies have a lot of reports on the repairs for certain things. They know what it should cost to remove water per a certain square foot, fix a certain type of roof, they know these things." Large gave an example of a case where a repair costs $2,500 and the vendor charges $10,000. Large said if the insurance company challenges that, the vendor works with an attorney who charges by the hour in his or her representation, and the insurance company is facing paying extra for a repair that it thinks should be much less than the vendor charges for it as well as $25,000 in attorney's fees, in the hypothetical case totaling $35,000. "This is why the vendors are asking for the assignment," Large said. "And this is why they're being represented by attorneys, because the one-way attorney's fee provision now inures to the vendor." Large said that aside from hurting the insurance companies, the AOB system also hurts policyholders. "Insurance companies have to pass costs along," Large said. "It's insureds, everyday consumers, that pay for this. That's the true tragedy." Large proposed that the one-way attorney's fee provision should only benefit the policyholder. "That's who it's supposed to benefit," he said. "It's not supposed to be assigned to a third-party corporate vendor."